Gone are the days when we didn’t much care about our bathroom looked. With so many best bathroom shelf and furniture options available, the designer in us has become an expert at home decor. Working in a limited space like the bathroom can get a little difficult at times because there’s so much you want to store in there. Making a lot of cabinets will make it look even smaller, so you have to opt for shelves as they are minimally designed and don’t have up a lot of space. Open shelving has become one of the most basic characteristics of modern bathroom decorating style. You can place shelves on either sides of the bathtub or shower. If you can extra storage, you can choose the corner ones, which also come with hooks. The shelves should always be placed at your eye level, so that they aren’t too high or low to reach. Another way to increase storage space is by hanging decorative baskets next to the wash basin. For a futuristic appeal, you can mount clear glass shelves, so that when not in use they conceal themselves. A minimal yet stylish bamboo bathroom product from HOMFA, the shelf can be adjusted into five different arrangements according to your needs. The shelf’s design is kept simple keeping in mind the modern contemporary decor of today’s homes. It is made out of 100 percent eco-friendly, durable, and non-toxic natural bamboo. The shelf has rounded edges, countersink screws, and a smooth surface finish, making it safe for kids. You can choose to mount it on a wall or simply place it on the bathroom vanity countertop, either way it will brighten up the room decor. Three tiers of the bamboo bathroom shelf are large enough to store your toiletries, hand towels, tiny terrarium plants, tissues, and toothbrushes and hairbrushes. Each layer can bear up to 13 lbs of load. Other than that, it is easy to assemble and disassemble, which will barely take you 10 minutes. The smooth surfaces ensure that no dirt settles on it and the open design makes sure that the the self is easy to clean. This adhesive bathroom shelf storage organizer by iHEBE is a wonderful option for your kid’s bathroom or guest bathroom because of its gender neutral appeal. It is made out of ABS material, space aluminium, and magnet, all of which are durable and waterproof materials. Fitted with a powerful adhesive technology, the organizer can hold up to 26 lbs of load. It is perfect for small bathrooms as it comes with a phone holder, a weep holder to drain water, five moveable hooks, towel bar, magnetic suction soap rack, and a jewellery container. You can store large bottles of shampoo, conditioner, face wash, and every makeup products in the organizer. To use the magnetic suction soap rack, you will have to press in the iron tablet into the soap and hold it against the magnet. You can mount it on the wall over your vanity or in the shower as it is waterproof. It is washable and easy to remove as well. A contemporary style three tier adjustable utility rack from SONGMICS, the shelf comes in four different colors including brown, grey, natural, and white frame + grey shelf. You can use the rack in your bathroom to hold toiletries, in the kitchen to keep spices and herbs, and in the living rooms as a bookshelf. It is made out of 100 percent natural bamboo that can be arranged in five different positions. You can either mount it on the wall or keep it on the countertop. It is a huge space saver and goes well with a open space bathroom decor idea. The shelf is easy to assemble and install using the anti-rust screws that come along in the package. It has a 55 lbs holding capacity, which means you can store everything from your jewellery, toiletries, paper towels, hand towels, bath towels, plants, and decor pieces and still have more space to other things. A great produce for saving bathroom space, the ALLZONE Constant Tension Corner Shower Caddy is a must-buy. Made with brushed stainless steel, the galvanized pole is stronger than chrome steel. The package include four different poles to adjust the caddy’s level according to your requirements, which are fitted with high compression spring to hold the caddy in place. Heavy duty shelves are held in place with durable and strong rubber rings. You can place the shelves wherever you want along the height of the shower caddy. Each of the four shelves have moveable hooks where you can hang the loofah and hand towels. All parts of the caddy comes sealed in separate PE bags to avoid scratching and keep dust away. Other than that, it is easy to install and assemble. You can put it up in the shower or next to the vanity, wherever you are comfortable. The Powerful Vacuum Suction Cup Corner Shower Caddy by iPEGTOP is a rustproof and durable storage unit for your bathroom. It can hold up to 22 lbs of weight and has eight stationery hooks for hanging your razor, loofah, and hand towels. It is easy to install and clean and can hold up to two shampoo bottles of 16 oz comfortably. The corner shower caddy is made out of food grade 304 stainless steel, which means you can also mount it in the shower. Suction cups are constructed using d ABS plastic with a chrome finish and rubber. Make sure that you mount the caddy only on smooth surfaces like glazed tile wall, mirror, smooth glass wall, smooth steel, and PVC. Since it is a stick-on caddy, it won’t hold up well on uneven walls like a rustic tile wall, porous surface, concave or convex surfaces, and concrete or lime walls. While a traditional theme looks elegant and ageless, modern decor is chic and minimal. If you have three bathrooms in your house, keep their decor style the same because you can switch shelves and cabinets between them if you want a change. If you don’t want to go for the extreme styles, you can choose mid-century French contemporary decor, which is elegant and chic at the same time. Also, it uses a lot of earthy colors, so you won’t have any problem decorating your bathrooms. Judge the space you have to work with. Wall mounted shelves are better if you have young kids or pets at home because the free standing units might fall on them. Also, if you have a small bathroom, wall mounted shelves are the best as they give you extra space under them for storage. In large bathrooms, use free standing shelves to fill up the space, so that it doesn’t look too barren.  We recommend you to stick with a white and creams color theme because it is the safest one. You can work around it easily. Putting a nice picture on the wall and a plant next to it will add a lovely finishing touch. Over the years, black and grey theme has become popular but use it only if you have a big bathroom. Big shelves will look out of the place in a small bathroom. If you have a lot of things you store, you can have one big open shelf and a few small ones. 1. Do suction or adhesive shelves stick on tiles? Yes, they do but only on flat, non-porous, and smooth tiles. These type of shelves won’t work on porcelain tiles because even if they look non-porous, they are porous. You can also stick the shelves on glass walls or a flat mirror. 2. What should be the minimum load a shelf can hold? Ideally, you should always choose a shelf that can take up to 20 lbs of weight. Your shampoo and conditioner bottles, toothpaste and toothbrush, bath towel, paper towel, razor, and some decor pieces account to a total of around 15 to 20 lbs. 3. What should I purchase -- stainless steel or natural bamboo shelf? It is completely your choice as it depends on where you are going to set it up. If you want a shelf for your shower or bathtub, a stainless steel shelf is your best choice because it is rustproof. A bamboo shelf will only swell and weaken in the moist condition. Bamboo shelves are beautiful decor and storage units that you can hang up over the vanity. They are bigger in size and have a holding capacity of up to 55 lbs, so you can storage a whole lot more on them. 4. Should I wall mount the bamboo unit or place it on the countertop? If you have children, we recommend you to mount the unit on the wall so that it is out of reach from the tiny monster. If you are purely looking for aesthetics, placing it on the vanity counter-top will look better. 5. Can I add extra hooks to the shelf? You can definitely do whatever you want but before that check the shelf’s maximum holding capacity. 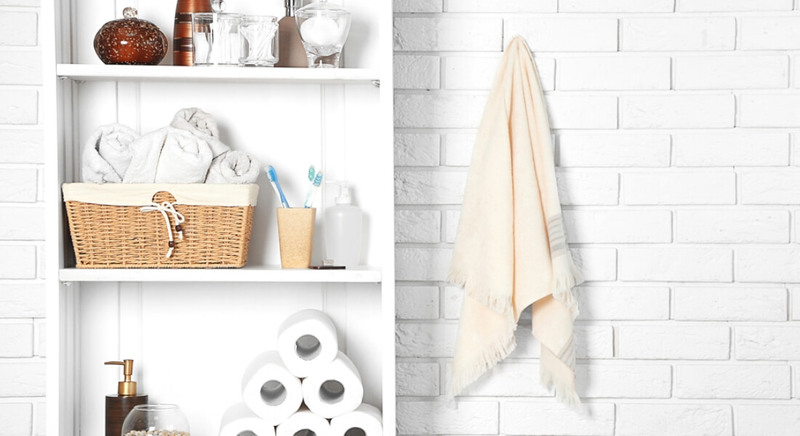 Along with the hooks, you can also put bars to hold towels and bathrobes. 6. Can I adjust height of the bamboo shelf racks? Yes, you can adjust the height of both the bamboo shelf racks. They offer five interchangeable position, which are super easy to assemble and disassemble. So, if you are bored looking at the arrangement, you can simply change it. 7. How long does the suction hold up? The suction remains strong for around three to six months. Every three months, remember to tighten the knobs so that it doesn’t come crashing down in the middle of the night and wake everyone up. 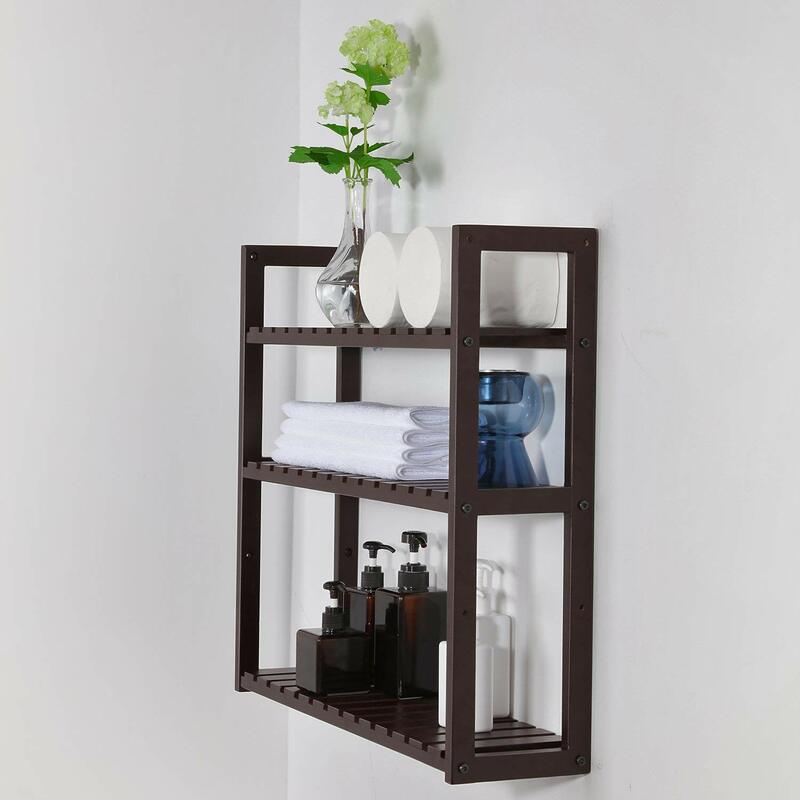 In our in detail review, we talked about the five best bathroom shelves you should buy. Each of them are very different from another. However, it was the SONGMICS 3-Tier Small Utility Storage Shelf Rack that should out to us for countertop storage and iHEBE Adhesive Bathroom Shelf Storage Organizer for shower storage.